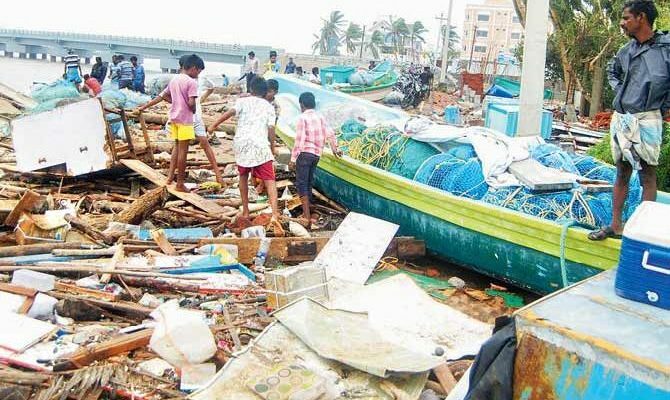 Cyclone Gaja hit most of the seashore cities in South India including Nagappattinam and Vedaranyam, Karaikal etc. 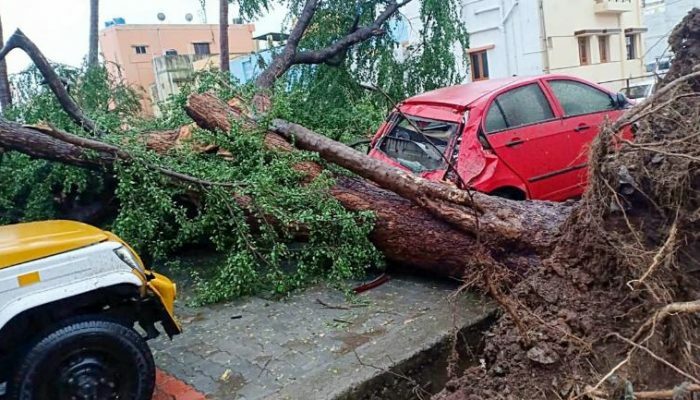 The mighty cyclone took a path of destruction across Nagappattinam, Thiruvarur, Thanjavur, Pudhukottai, Sivagangai, Dingugal, and parts of Theni & Madurai districts. There are lakhs of people have been evacuated from the affected area and sheltered in 490+ relief camps. 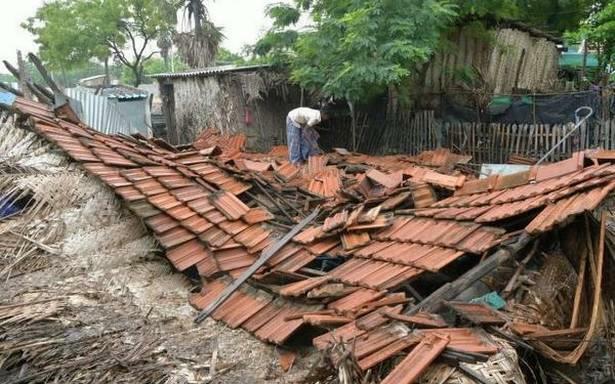 Around 1 lakh of houses have been damaged completely and partially. 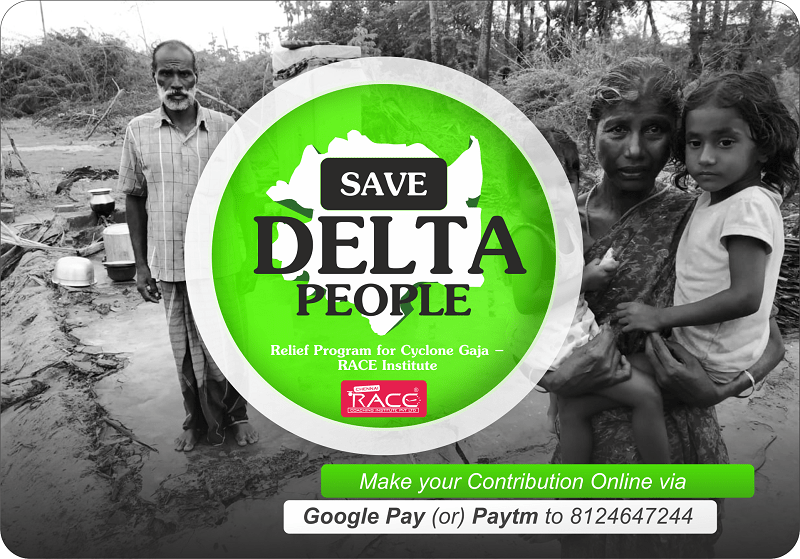 It directs more than 2 lakhs of people became homeless and they are expecting help from the Govt and NGO people. 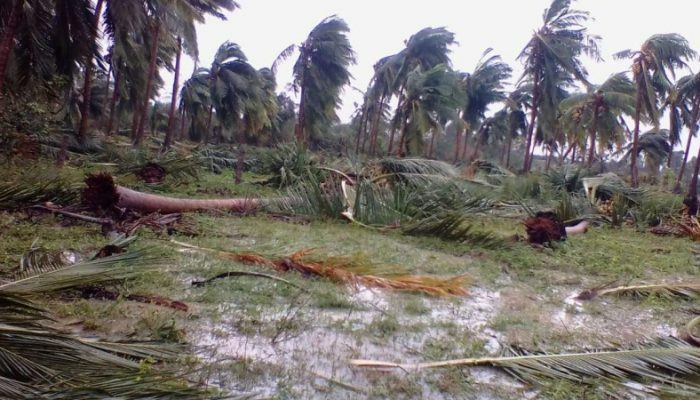 More than 2 Lakhs of Trees’ were uprooted in the seven districts affected by the Cyclone which includes the cultivated area as well. As many as 350 Transformers, Electric Poles and 3500 Km of Electric wires have been damaged disrupting power supply. 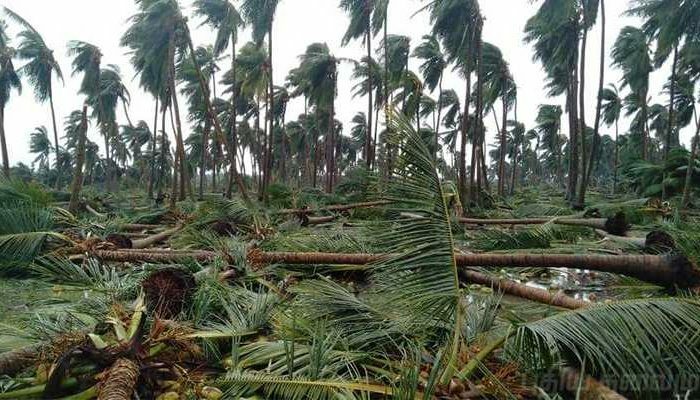 While most of NGO’s and other organizations are taking their effort to help those who affected by the Gaja Cyclone, our Tamilnadu Govt is taking its effective action against the disposal of the uprooted trees to bring back the transport and Electricity facilities to normal. 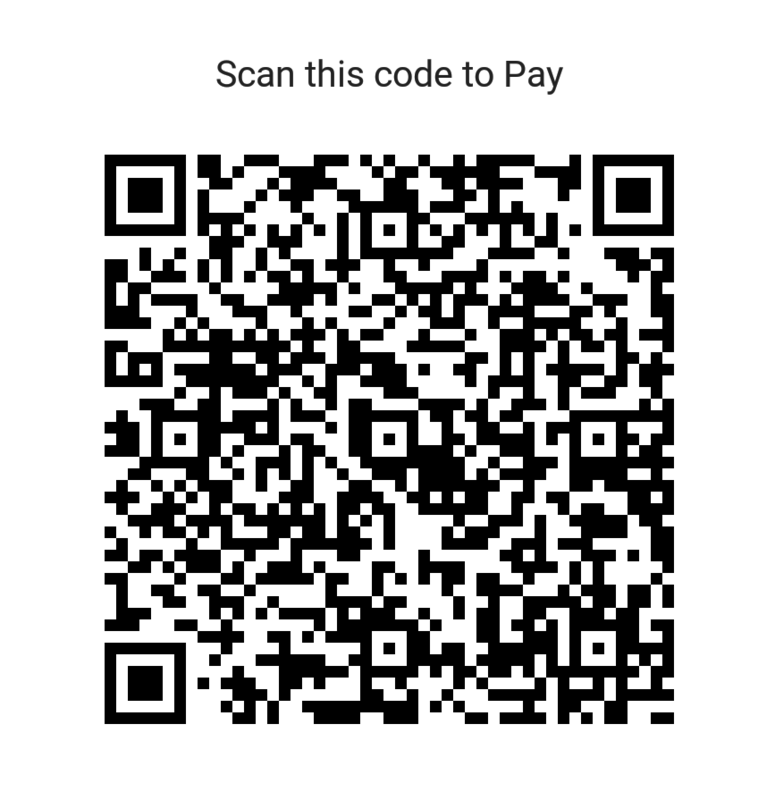 Please make your contribution before 22nd Nov 2018. Our Relieve Team will be starting to the Delta Regions soon. Volunteers can make their contribution in any form. Such as Bed sheet, Carpet, blankets, torchlight or solar light, Power banks, new dhotis, Sarees, Night Wear, towel, Odomos packets, tarpaulin sheets, basic grocery items, candles and matchboxes, Water bottles, Milk Powder, Napkins, Mosquito Repellent Coils, Biscuits, Bread, and first aid kit etc are being collected. புயலினால் பாதிக்கப்பட்ட மக்களுக்கு அடிப்படை தேவைகளை பூர்த்தி செய்ய உதவும் பொருட்களை தர விரும்பினால், கீழ் வரும் தொலைபேசி எண்களைத் தொடர்பு கொள்ளவும். பொருட்களை நேரடியாக வழங்க விரும்பினால், கீழ்கண்ட முகவரிகளில் இயங்கும் எங்கள் பயிற்சி மையங்களில் வழங்கலாம். Admission Block – #1 South Usman Road, Opp to T Nagar Bus Terminus, Thyagaraya Nagar, Chennai – 600 017. T.C.28 / 2377-1, Near over bridge, Thampanoor, Trivandrum – 695001. No. 30, Vallalar Salai, Kamaraj Nagar, Puducherry – 605011. AR Road, Gnana Olipuram Street, Poonga Nagar, Agarwal Eye hospital backside, Near Aarapalyam bus stand. Madurai – 625016. 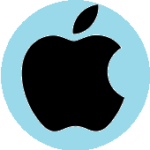 #209, Muthu Plaza, Junction Main Road, State Bank Colony, Salem – 636004. 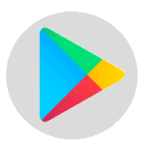 Juman Center, 43-A/2 Promenade Road, Cantonment, Trichy – 620001. No. 545, 1st floor, Adjacent to SBI (DB Road Branch), Diwan Bahadur Road, RS Puram, Coimbatore – 641002. Near Ayyappan Kovil, Opp Maharaja Multi Specialty Hospital, Mohanur Road, Namakkal – 637001. V.N.S Complex, Plot no, 6, 7, 17, 18, Karups Nagar, Trichy – Tanjore Main Road, Thanjavur – 613005. #27/1, Green Circle, Next to Hotel Aryaas, Vellore – 632004. Practice Village – Salem, Chennai RACE Coaching Institute Pvt Ltd, Kasthuriba Gandhi College, Salem – Namakkal bypass road, Aattyampatti Pirivu, Salem.